What are the haps internet peeps? Nope, I haven't transmorphed into a hermit. Some favourite things of the past infitiy months! 1. Ahhhh Emma Stone, you sassy, beautiful, hilarious, creature. Don't ever stop. After listening to that I promptly put this song on repeat and also... for who knows what reason... this song. The 90's are my #1 all-time, favourite decade for music. 2. Super star food blogger The Pioneer Woman posted her top 32 favourite movies. I am embarrassed at how few I've seen but I will preach from the mountain tops how much I loved "Good Will Hunting", "Rain Main", and "The Lord of the Rings". (Uh I clearly have a thing for fantastical math geeks? huh?) Are your favourites on the list?? What's missing? 3. I picked up this dress at Banana Republic a few weeks ago and it is hella comfortable. Am I too old to say 'hella'? 4. This ode to cupcakes is PERFECT TRUTH. The cupcake will never die. Related - a friend recently gifted me the Robicelli's cookbook and I want to quit my job and make every recipe. The job quitting is necessary as every recipe is extremely involved. And also: cupcakes. Sweetapolita's 6-layer campfire delight cake - except I added caramel SMB. It was the greatest cake I have ever made. I have a hyperbole problem. 6. 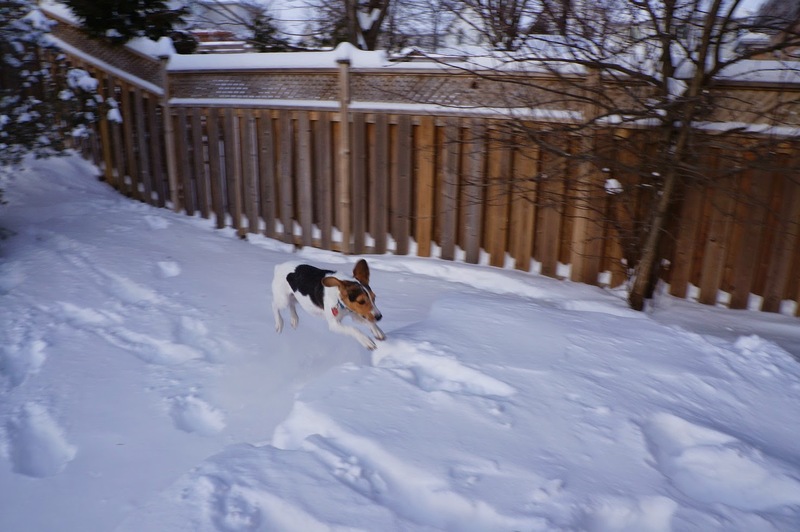 Here are some pictures of my dog jumping in the snow THAT IS FINALLY GONE. Good riddance to winter. Summer 2014 - Let's do this!